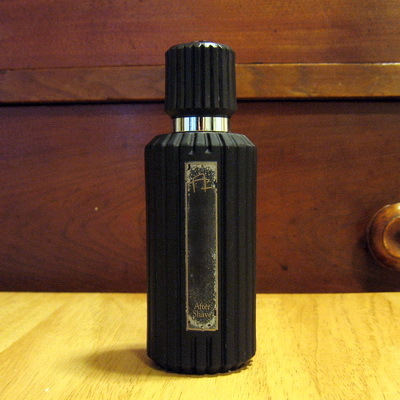 I found an aftershave among my gear that I don't remember and can't identify. I have no idea when or where I got it. 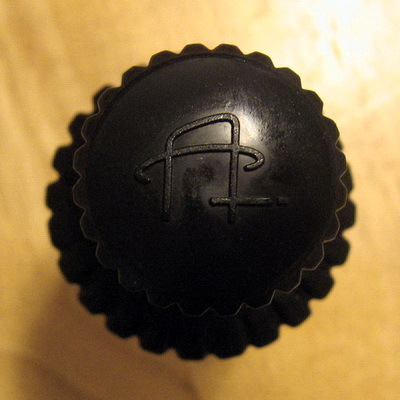 It is in a heavy, ridged, black glass bottle that looks old, and it has an emblem on the side and on the cap top that looks like a stylized, perhaps Oriental, letter A. 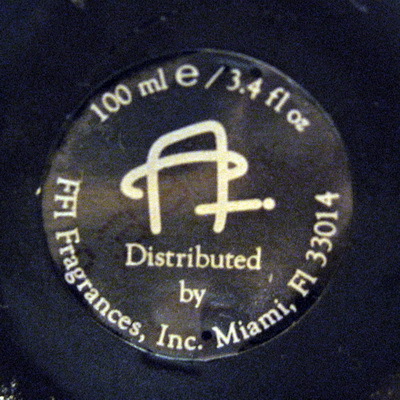 On the bottom of the bottle is a label with the emblem printing that says "Distributed by FFI Fragrances, Inc., Miami, FL 33014." Any help in identifying it would really be appreciated.